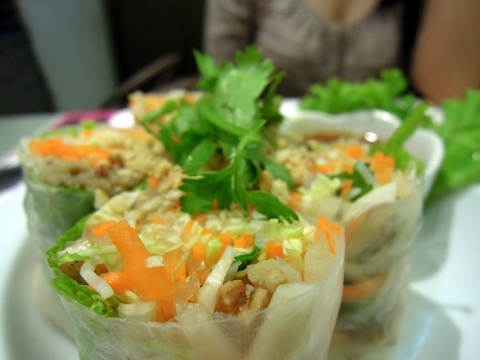 There was a time two to three years back when I would constantly nag DB to have lunch or dinner in a Thai restaurant. 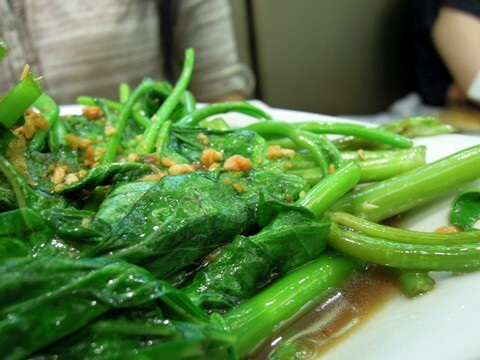 Our favorite is a hole-in-the-wall place near Rockwell, Makati called Som's where we would bring friends to share our then secret home-cooked and delicious Thai food. Then my palate took a 180-degree turn and I begged to have either Japanese or Korean cuisine almost everyday. One night when we were looking for a place to eat, DB suggested we go have dinner at Jatujak for old time's sake. And I'm glad he did because I so miss this! 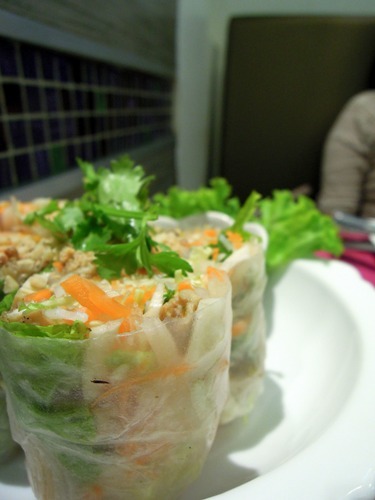 For starters, we ordered Fresh Spring Rolls which is quite filling and so healthy. 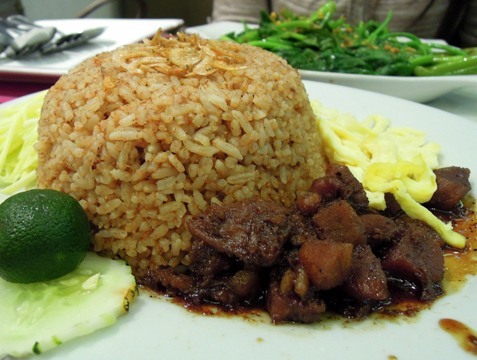 Instead of our usual plain rice, we veered off the norm and had Bagoong Rice. This is a complete meal in itself! 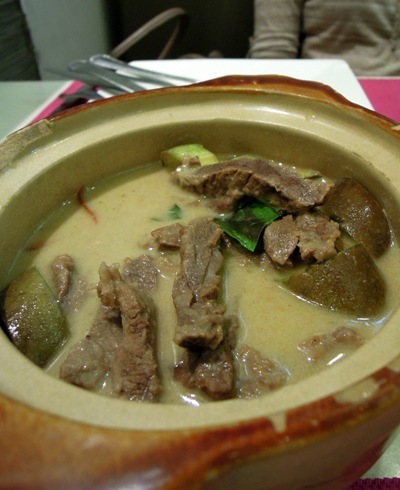 We liked that the bagoong is not too strong and surprisingly complimented with our beef curry. Another attempt to eat healthier, we ordered stir-fried veggies which is crunchy and so good I can eat one order by myself. 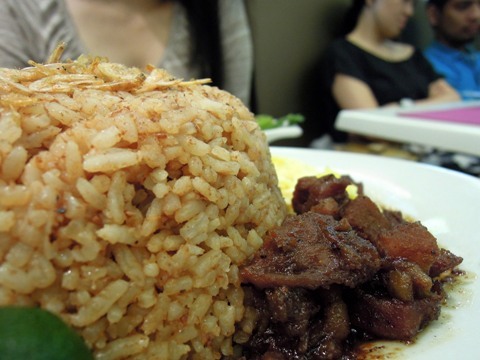 Beef curry and rice is one perfect combination. 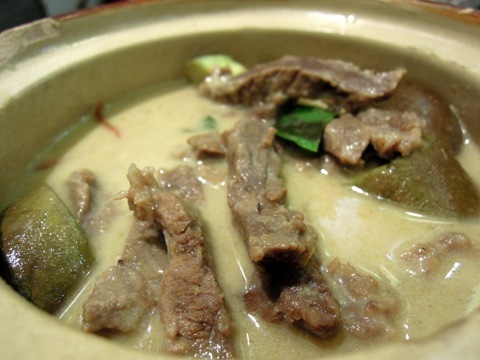 Jatujak's version has lots of beef which is cooked to tenderness perfection while the curry flavor is not overpowering -- the reason why we always order green curry instead of yellow or red. Waiter, two extra rice please!